Polykemi, the developer and manufacturer of custom-designed thermoplastic compound, continues to grow. Now Polykemi focus more on the Benelux market together with De Monchy International B.V. Even if we have been present on the Benelux market for many years and have extensive experience, we see great potential in the collaboration. 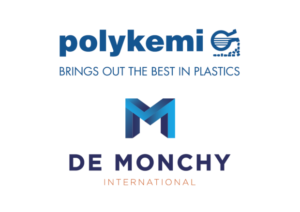 – By joining forces with De Monchy International B.V., it gives us new possibilities to further make the Polykemi name, our products and abilities more known on the Benelux market. Together we will be able to offer a more competitive concept and stronger solutions compared to before, states Mr. Mattias Persson, Sales manager at Polykemi. – De Monchy International is very pleased with this strategic expansion of its portfolio. This represents an important step to strengthen our position in the Benelux as an innovative market consultant and distributor, says Paul Hendriks, Product Manager Thermoplastics at De Monchy International B.V.
POLYfill – PP based high tech compounds. Blends – PC/ABS, PC/PBT, PC/ASA, PBT/ASA, PA/ABS –and more! REPRO & REZYcom – High quality recycle base materials.